Google has been giving webmasters some pretty heavy hints that mobile-friendliness was important to the search engine, and today the company made it official. Mobile-friendliness and indexed apps are officially ranking factors in search results. The motive behind the addition to the search engine algorithms is fairly obvious. People are using mobile devices more and more to search the web, and mobile-focused ranking factors such as these are the best way to ensure quality results no matter what device you come from. The mobile algorithm update won’t take effect until April 21, so you have time to make any necessary changes you may have been procrastinating on until now. 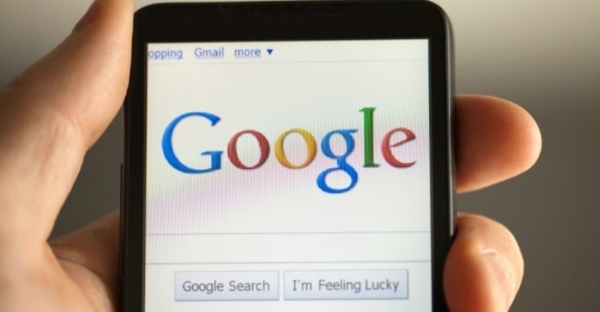 Google also says the update will affect all mobile searches in any language around the world. If you are concerned your site may not be up to Google’s mobile standards, they offer a mobile-friendly test. Google also suggests examining mobile usability issues by reviewing the Mobile Usability Report in Google Webmaster Tools. In the meantime, Google will begin considering information from indexed apps as a ranking factor for signed-in users with the app installed on their phone. This way, content from indexed apps on your phone have the potential to rank higher in the search results you see. As a side-effect however, app developers will have to establish a relationship between their sites and app deep links. This week, Facebook introduced a new mobile ‘Ads Manager’ app which claims to make it easier for the over 800,000 monthly advertisers on the site to manage ads on the go. The new Ads Manager app allows advertisers to create new ads, as well as tweak and monitor existing ads on the fly. It also includes budgeting and scheduling features. This means increasing budgets for well-performing ads or drafting up new ads is as easy as pulling out your phone, no matter where you are. The Ads Manager app is available now for American iOS users, and the company says Android users can expect the app later this year. The timing of the new app is especially relevant as the company simultaneously announced reaching a milestone of two million unique businesses advertising on Facebook. 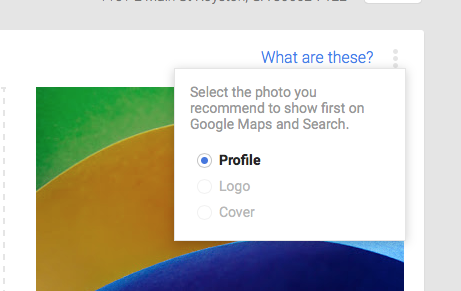 The release of Google My Business was intended to make it easier for businesses to maintain a consistent appearance across all of Google’s services, but one feature was seriously lacking. 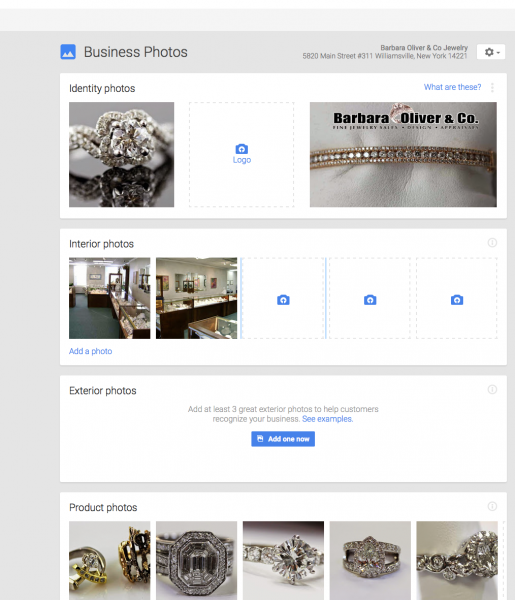 While Google My Business allowed businesses to upload an image to their profile, the companies still had difficulty controlling which images would be used in various listings. That is a serious problem when you are trying to establish a consistent brand presence online. 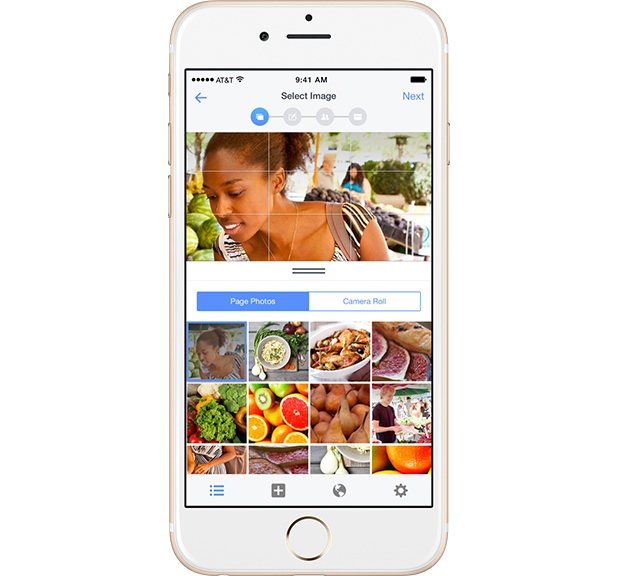 The upgrade unifies Google’s three interfaces for images into one simple interface. There is no longer any guesswork in making sure your brand is always presented how you want it on the search engine. 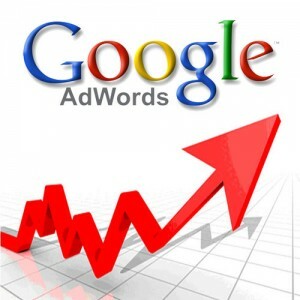 Google AdWords is one of the most powerful tools available to companies trying to get their ads seen online. The only problem is the service can often feel overwhelming to those who are not experienced with the tool, especially with the near constant updates. Thankfully Google is making it easier for business owners and advertisers to keep up to date and learn the ropes of AdWords with a super useful how-to-guide to paid search. The guide is part of the Google Best Practice series, located in the Help section of AdWords. The series provides practical advice on using AdWords products to get the most out of paid search and covers everything from optimizing keywords to measuring analytics data. To help keep up with the frequent updates, AdWords has also added a timeline tool which displays new features and changes to policy and guidelines in a convenient location. The timeline shows recent updates chronologically, so you can easily see what the latest news is. The tool will show brief descriptions of all new products, features, and updates, with links to more information. Considering AdWords updates hundreds of times a year, this timeline will be a godsend to many advertisers who are vigilantly watching for updates. Google is in the process of rolling out a new hacked page classifier which puts a notice below sites in the search listings believed to have malicious code or other hacking issues. The only problem is, many webmasters are reporting getting labeled as hacked incorrectly. Yesterday, Google’s John Mueller acknowledged that a small number of sites are being mislabeled in the search results, which is obviously discouraging to anyone considering clicking on the link. You can tell if your site is affected by simply searching for your site on Google and seeing if a small blue text appears below the title tag reading “This site may be hacked.” If you don’t see it, you’re in the clear. On the other hand, if you’re seeing that line it means your site has either been mislabeled or really has been hacked. Mueller suggests having someone experienced in working with hacked sites to review your site to ensure there are no problems. If they give your site a clean bill of health, you will have to notify Google. The search engine says to fill out this form if you believe your site is mislabeled as hacked. Once it is submitted, someone at Google will review it and remove the label if they also find no issues. There is no indication how long it will take Google to review your site and remove the label, especially with the number of sites reporting the problem. For more information on resolving issues with hacked sites, see Google’s best practices. Facebook is usually rather tight lipped about how it measures the impact and views for ads on their site, but today the social media giant offered some rare insight by saying the company doesn’t believe advertisers should be charged unless ads are seen by real people. This might seem like common sense, but it is actually common for online advertising services to measure impressions based on how many ads are ‘served’, not how many are ‘viewed’. Ads are counted as being ‘served’ so long as the ad renders anywhere on pages that are opened, even if the ad ends up never actually appearing on the screen. On the other hand, ‘viewed’ impressions only counts if they are displayed on the screen. The metric isn’t perfect. There is no fool-proof way to ensure someone scrolling down a page will actually glance at an ad, as most Facebook users can tell you. Still, Facebook’s method of measuring impressions seems to be a more accurate and fair way of counting ad views than is typically used. The company hopes to expand this measuring method to organic posts on the site in the next few months. Google Webmaster Tools is usually the best friend for any webmaster trying to keep informed, but users have noticed the normally up-to-date service has not been updated in over a week. The problem was noted by Search Engine Land last week and has been the main topic of conversation on the Webmaster Tools forums all weekend, but so far Google has no response. The closest thing we have to a response comes from forum user ‘Kai Z’, who wrote “Known issue. […] Give it a few days to update/ return”. Normally forum posts like this wouldn’t carry much weight but it seems notable that Google webmaster trends analyst John Mueller marked this response as ‘best answer’. Naturally this has caused quite a bit of speculation but could potentially be meaningless. Most likely the problem will be resolved fairly quickly, but the lack of transparency from Google on what is causing the lack of updating has caused some concern within the SEO community. Valentine’s Day is huge for online retailers, but some e-commerce sites are already wondering why they haven’t felt the love this year. If your e-commerce business isn’t seeing the traffic or conversions you think you deserve during this time of year, consider some of following tips and statistics about the big day tomorrow. Amazon is the leading review site in America and 42% of all its customers have left at least one review. 76% of customers are willing to pay more for hotels with better reviews. How are you encouraging happy customers to leave reviews? Promoting a tweet on Twitter just got a lot easier. While users have been able to promote tweets in the past, it required going through the company’s self-service platform. 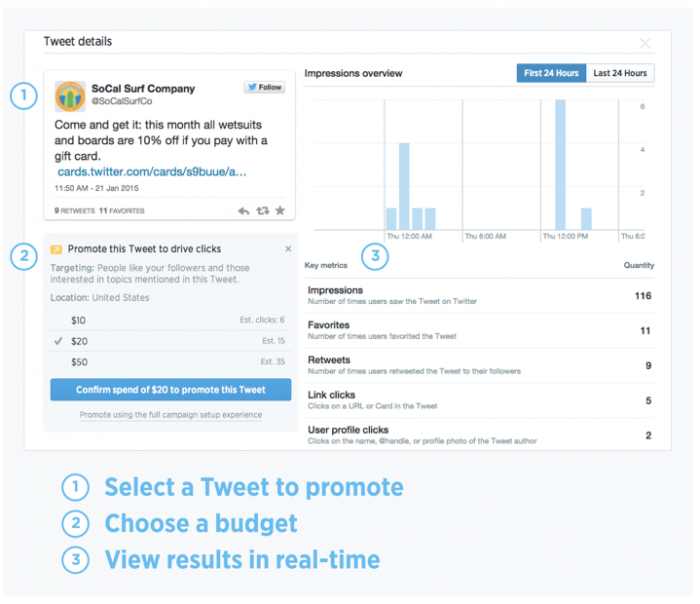 Now users can use the “quick promote” tool to quickly and easily promote a tweet. Twitter designed quick promote expressly with small and medium businesses in mind. All you have to do to increase your tweet’s visibility is go to your tweet activity dashboard at analytics.twitter.com. Then, you simply have to select the tweet you want to promote and click the option to promote the tweet in the left sidebar. For now, the service is relatively limited compared to Facebook’s extensive ad platform. Currently, Twitter only allows you to target quick promoted tweets to users similar to your followers. Although nothing is confirmed, it seems likely the company will expand the options in the near future. The more useful features for small businesses hoping to increase their Twitter visibility is the ability to set small budgets and receive an estimate of how many people you are likely to reach. After you’ve set the budget and promoted your tweet, you can watch its performance in real time using the analytics dashboard. The service isn’t revolutionary, but it was in dire need for one of the most popular social platforms around. Now, small and medium businesses can benefit from Twitter ads in the same way big brands have been for over a year.